If it bleeds chocolate, eat it! Get to the chocolate chip cookies with this Predator Cookie Jar. 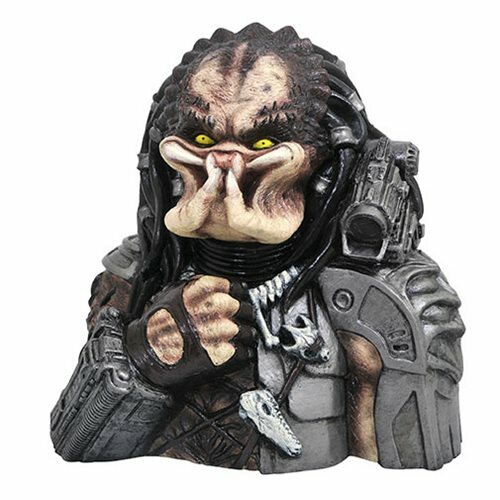 The jungle savagery of the Predator franchise meets the animal hunger of the kitchen with this Predator ceramic cookie jar. Depicting the Yautja's classic appearance in the original 1987 film, this approximately 12-inch tall cookie jar has a removable head for snack (or spine) storage. The Predator Cookie Jar comes packaged in a full-color box.